Different versions EasyBike combine alternative technologies. Version EasyBike Terminal has electromagnetic locks, with technology of the Dutch company Calllock , in a modular configuration that makes it possible to install with few points or more bicycles. The system features a terminal (infokiosk) for accepting credit cards on-line at the point where there are the bicycles. The terminal has a touch screen 15 ” for user interaction with the system. The user goes to the rental station and approaches the card in a special reader at each lock, certifying his identity. Then he choose a bike that he wants, he unlocks it and take it. When returning the bike to any station, the user places the bike in any available parking lock and locks automatically. The station identifies the user and the identity of the bicycle is returned and received. The rental period is calculated in real time and automatically the corresponding charge is deducted from the user’s account. The system works with electronic subscriber card and credit card. At the same time the operation is supported via mobile phone and SMS. The system works with electronic subscriber card and credit card. This version is essentially a subset of Terminal version, but without the terminal (infokiosk). It consists of the electronic parking spaces which are independently operated and without the existence of terminal. The user uses the system in the same manner as in version Terminal. 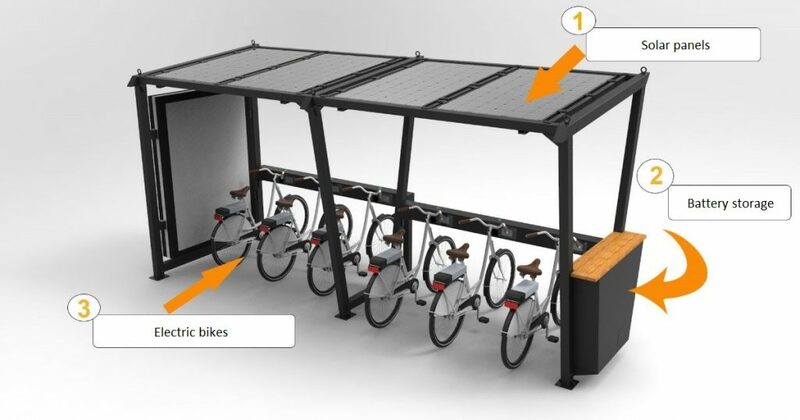 Key features in version EasyBike Station are the minimal construction and the flexible installation. This version has the smallest volume of equipment placed in the external environment (street furniture). The autonomy of the version Station in conjunction with the flexible structure and the minimum technical installation work, makes it ideal for smaller cities or towns without large volume of visitors and tourists. It is also a appropriate solution for occasional installation in places where events take place (exhibitions, sporting events, conferences, etc.). The system works with electronic subscriber card via mobile phone and via SMS. However it is possible to support occasional users to register via internet and use their mobile phone. Version EasyBike Key is a bicycle sharing system using keys and serves casual users and subscribers. A key advantage of the version EasyBike Key is the natural way to interface with the system. The user receives a key electronically and he uses it to unlock and lock a bike. At the end of the ride, he returns the key manually in the system and returns the bike. Version EasyBike Manual is a bicycle sharing system that operates with electronic subscriber card and manned stations. The user gives his subscriber card to the station operator. The operator approaches the electronic subscriber card in EasyBike NFC Box, which identifies the user and allows the operator to easily give start / end bicycle rental or to access the user’s tab. The system can serve occasional users and subscribers. In the above versions of EasyBike, it can be used electric bicycles and covers to protect and charge bicycles. The EasyBike bicycle rental system is also available with special construction electric bicycles EasyBike Elegant. EasyBike Elegant electric bicycles have high quality and they are manufactured in Greece. They provide all the safety conditions for movement in urban enviroment while possess unique cutting-edge technologies that make them suitable for public use. 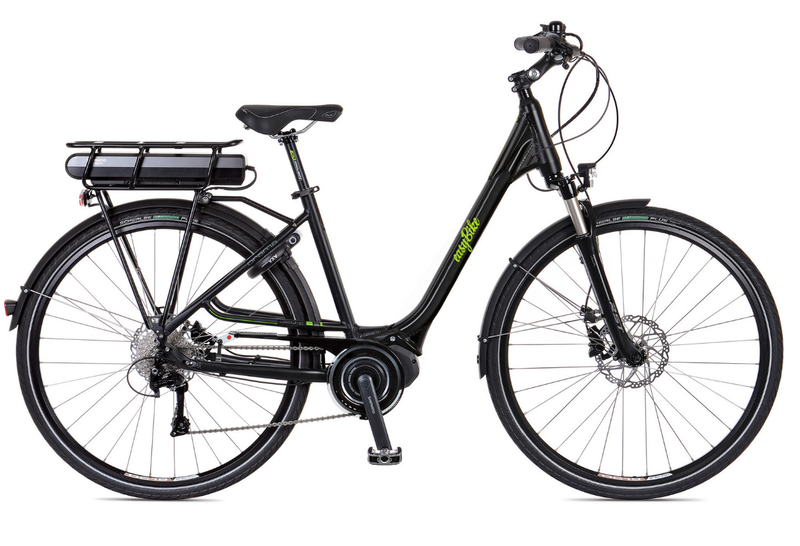 They have built-in non-removable lithium-ion battery with a guaranteed ability recharges over 1,000 which delivers 250 Watts and gives the bike autonomy from 60 km up to 120 Km, depending on the assertive staircase. The bikes have brakes, integrated lock for short-term parking and speed display, battery, kilometres etc.